2 Bdrm Grnd flr Self-contained flat. Hall. Living rm. Dining rm/Family rm. Kitch. 2 Bdrms. Utility rm. Shower rm (CT band - E). Garden. 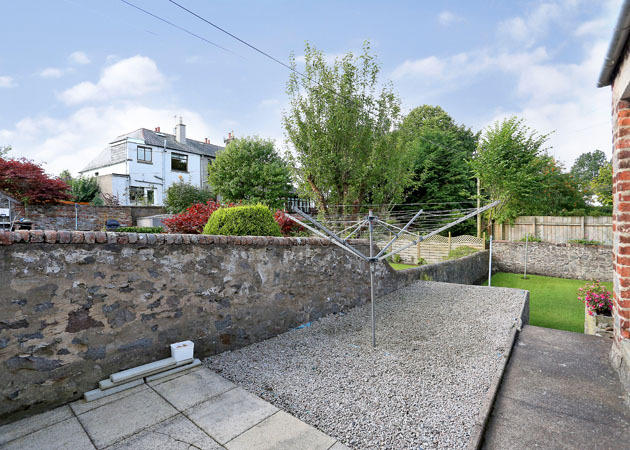 Price over £187,750 Entry by arr. Viewing Mr Reay 07846 388598 or contact solicitors. (EPC band - D). 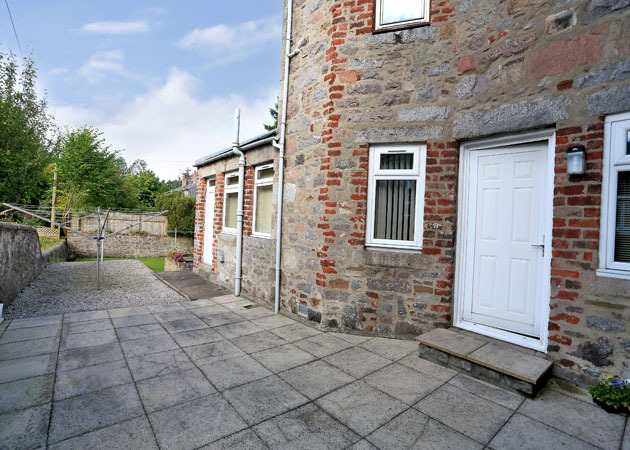 We are delighted to offer for sale this IMMACULATELY PRESENTED TWO BEDROOM SELF CONTAINED GROUND FLOOR APARTMENT in a quiet, popular street in Ferryhill. 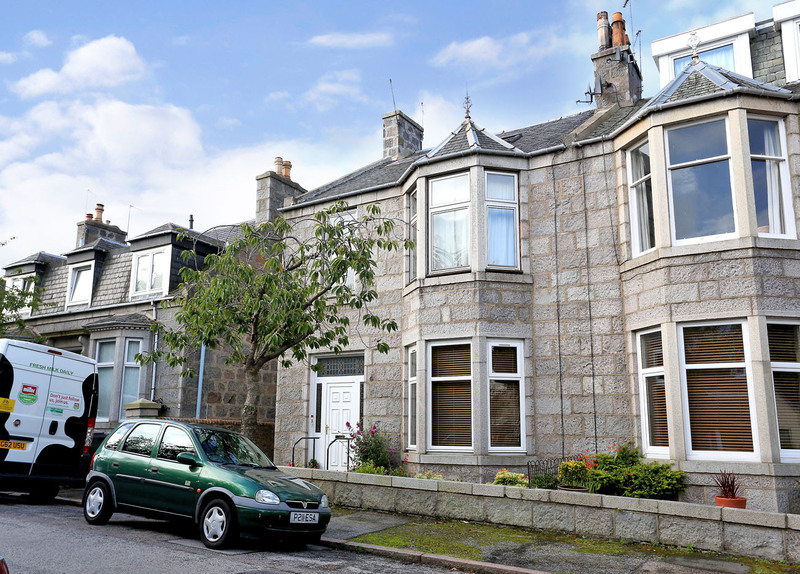 The property occupies the whole of the ground floor of this well maintained granite building and benefits from gas central heating, double glazing and spacious rooms with high ceilings. 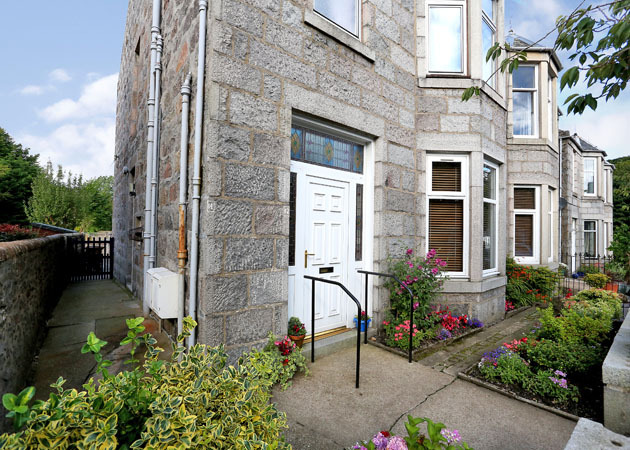 The accommodation comprises: Entrance Hallway; spacious Living Room; Dining / Family room; Kitchen and two double sized Bedrooms. There is exclusive garden grounds and outdoor storage. 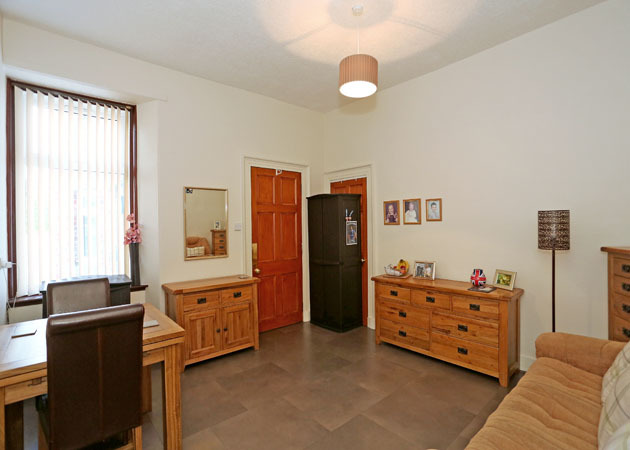 The apartment is very close to the beautiful Duthie Park with the famous Winter Gardens. Also within easy walking distance is the city centre with a full range of recreational, shopping and cultural facilities. Ferryhill itself is a strong community with local shops, hotels, primary school, library and regular public transport to the city centre and further afield. 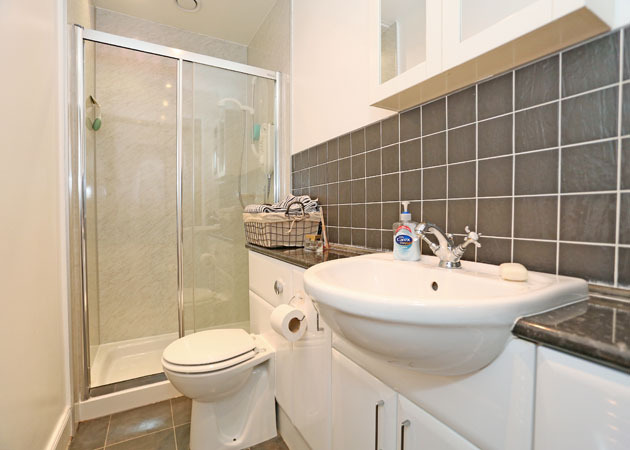 Viewing is highly recommended of this immaculately presented property. 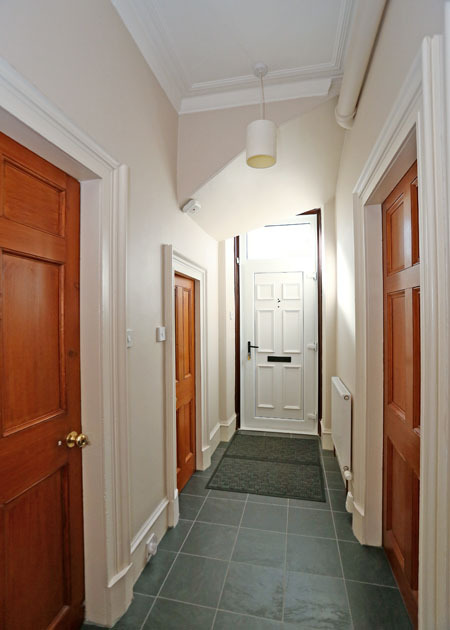 ENTRANCE HALLWAY Entry is taken by way of a uPVC door with glazed fanlight above. 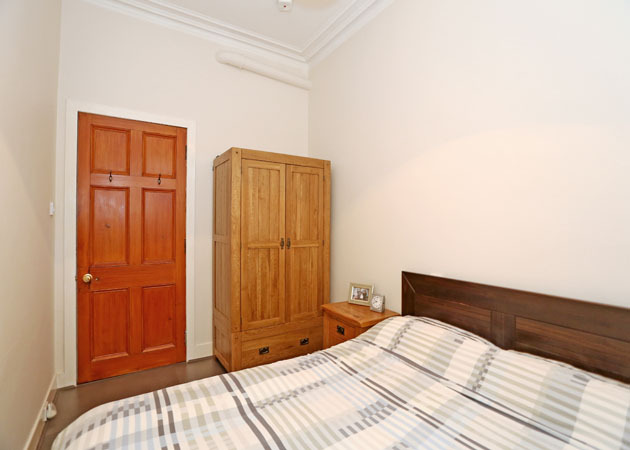 The floor is of laminate finish and there are original pitch pine doors to all rooms. There is a radiator and pendant light. 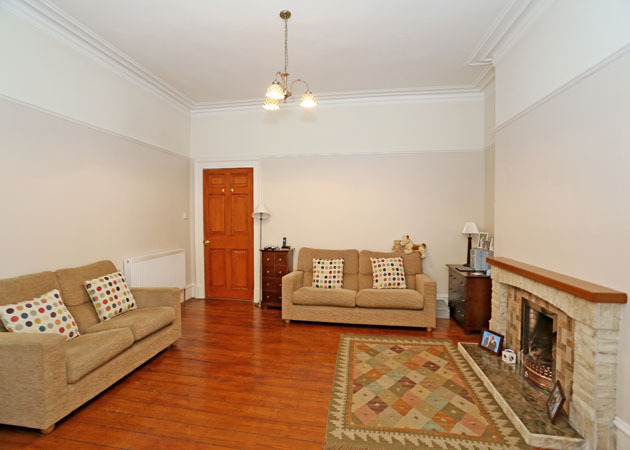 LIVING ROOM 17'4 x 15'5 (5.28m x 4.70m) With natural wood floorboards and high ceilings this spacious, bright room, retaining many original features including picture rail, cornicing and a tiled and wooden open fireplace with grate. 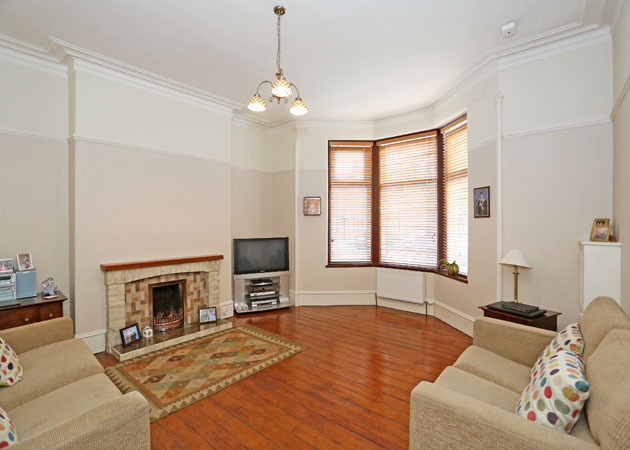 There is a large bay window overlooking the front of the property and two double radiators. This comfortable room is perfect for entertaining and relaxing. DINING / FAMILY ROOM 12’11 x 12’4 (3.94m x 3.77m) This formal dining room has ample space for a dining table and additional freestanding furniture. The floor is of laminate finish and again, the room benefits from a high ceiling. A window overlooks the rear of the property. 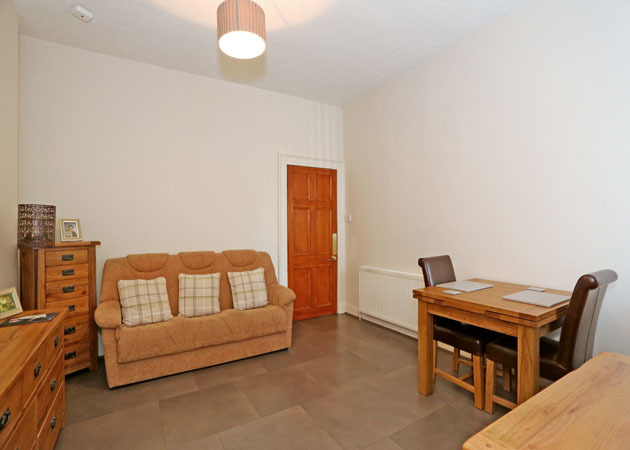 This room is also used sufficiently spacious to be used as a family room or other uses. KITCHEN 8'4 x 7'3 (2.54m x 2.21m) A single step down from the Dining room allows access to this functional kitchen fitted with a range of white gloss wall and floor units with coordinating work surfaces. A single bowl stainless steel sink is positioned under a window overlooking the patio area. 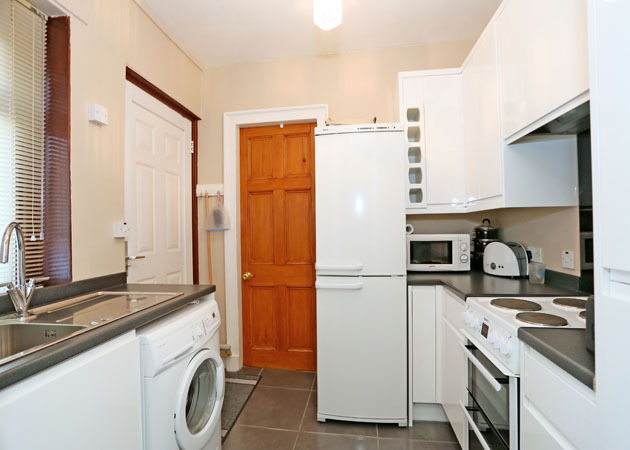 There is a freestanding cooker, fridge freezer and plumbing for a washing machine. 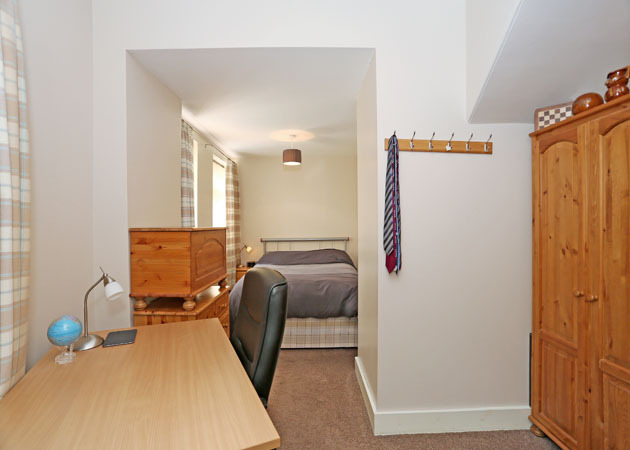 BEDROOM 1 13'2 x 7'5 (4.01m x 2.26m) This double sized room benefits from laminate flooring and has a window overlooking the rear of the property. There is a pendant light and radiator. BEDROOM 2 17'10 x 11'2 (5.44m x 3.40m) A door from the Kitchen leads to this bedroom with additional area which could be used as a study / dressing area. 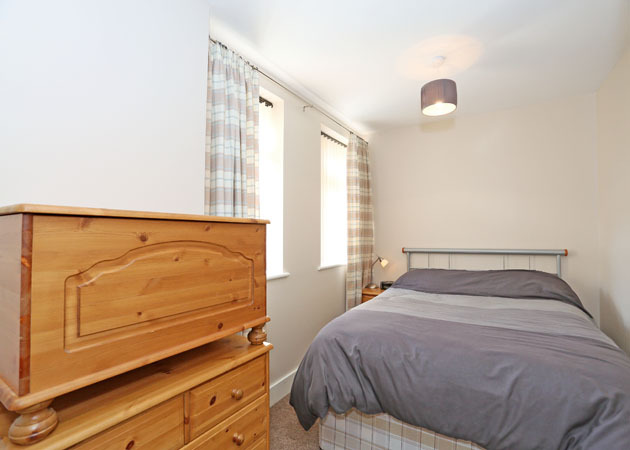 The bedroom is bright and airy with three windows overlooking the garden area. The floor is carpeted and there is a double radiator. There are two pendant lights. UTILITY STORE A very handy utility / coat store is located off the hallway close to the front door. The floor is of laminate and there is a small window overlooking the side of the property. The wall mounted combi boiler is housed in this area and there is space for a tumble dryer. SHOWER ROOM The shower room is well presented with a spacious double shower cubicle with electric shower and wall paneling around. The WC and wash hand basin are set within a white gloss vanity unit with wall mounted medicine cabinet above and splash back tiling. There is recessed lighting and an extractor fan above. 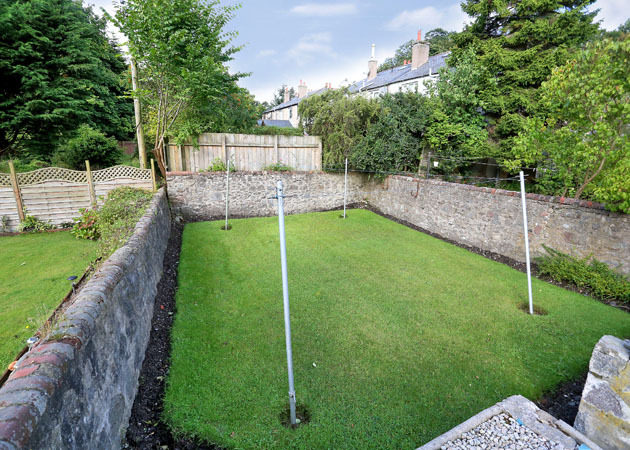 EXTERNAL There is an exclusive area of garden ground pertaining to the property and also a shared drying green. There is a large patio area and access to an outdoor store providing useful storage. A shared access pathway, allows access from the front of the property to the rear. EXTRAS All carpets, curtains, blinds and light fittings are included in the sale, together with the appliances in the kitchen and the usual fixtures and fittings in the Shower Room.